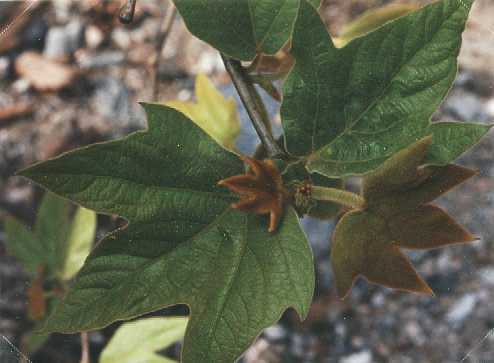 Notes: A native, deciduous tree, it has hand-shaped leaves with five "fingers". 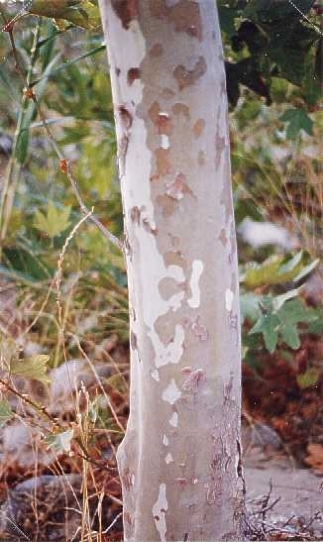 The bark has splotches of white and brown which make it look as if it's peeling, somewhat resembling a jigsaw puzzle. 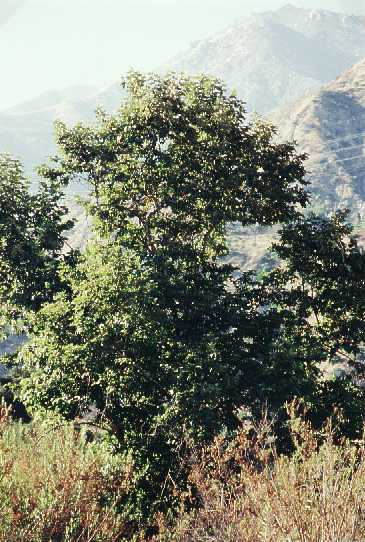 Found not far from water, it can reach a height of 90 feet.